For those looking for a truly unique guitar effect processor, your search may be over. 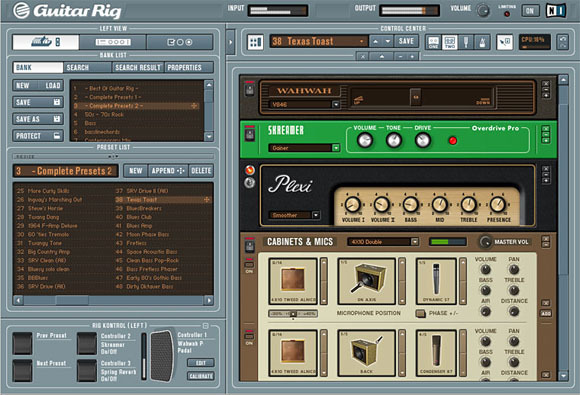 Guitar Rig 1.2 from Native Instruments is an effect processor that feels like using real analog amps and mics. included in the application, with presets, modules, and controllers out of the box. the go, a tuner (mute-able, so no one has to know you’re using it), and full editing of presets, including saving on the go. Instruments, I got to really test drive this baby for CDM. Registration was easy via the website, from which you can download of the most current software update. Integration with Logic Pro went smoothly. Optimal: Power Mac G5 Dual 2.0GHz with 1G of memory. Native says this machine will run just about anything zero-latency — but it’ll be a lot harder to drag to your gig! As far as sound goes, Guitar Rig is truly amazing. Whether you’re a pro or just an ordinary guitar dude just wanting to rock, you can get the sound you want. 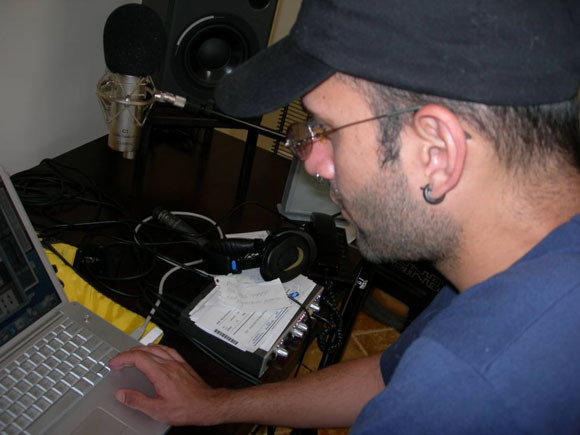 Listen to the sample sounds I recorded exclusively for CDM to get an idea of the sounds. streets about Guitar Rig is impressive. At US$499.00 retail it’s not cheap. 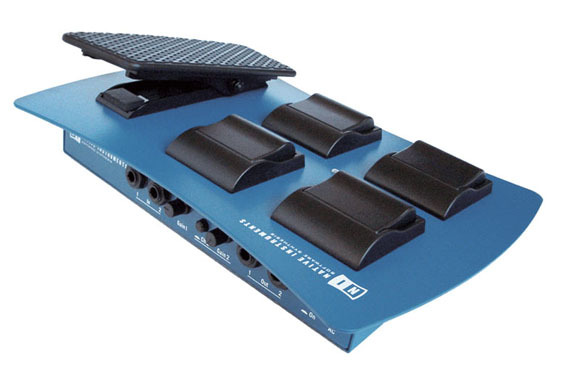 But with the pedal board hardware included, it could be exactly what you need to complement your studio. Pros: Sounds that are hard to match in any other guitar processor. Lots of presets. Can use with your existing plugins and soft synths, with vocals and synth parts. Runs well with Logic Pro and Live. Great tech support. – Guitarist Pierce Case joins CDM as a special guest reviewer for this review. More on Guitar Rig: See CDM’s special report on a rack-mounted Mac Mini running Guitar Rig live.